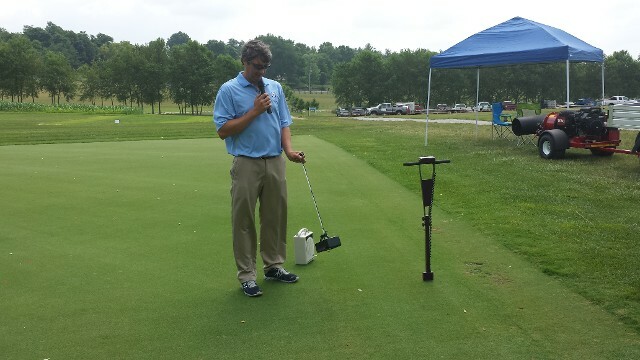 Dr. Harrell has taken a no-nonsense approach to turf management since his early years in the industry. He believes in promoting quality products that add value. Whether it be golf course maintenance, lawncare, or sports turf management he is an advocate for economically sustainable, environmentally prudent approaches to creating and maintaining beautiful landscapes. Due to his relationship with industry leaders evaluating the latest green industry products, he has become a trusted resource for turf managers throughout the region to help find solutions to complex problems. Some of these cutting edge products and techinques are on display at the Research and Demonstration Day held at the facility. The annual event is a platform for industry representatives to showcase new products to end users.